All my friends and family know that I am totally obsessed with pirates! I’m not quite sure how and where this fascination with outlawed sea-fairing marauders began (I secretly hope I am descended from pirates, which would explain a lot). I even had a pirate wedding cake. Complete with Pirate table names …. For every fancy dress party, I don’t give it any thought – everyone knows one of my infamous pirate outfits will make an appearance! Ever since childhood I have collected all things nautical and I hope to soon have a pirate themed room in the home! This is something I have been planning for a long time and with our bedroom needing a complete make over I’m hoping that soon my dream will become reality! I have put together a post based on items that are currently on my wish list and will help you too to create the Pirate, or (for a less extreme make-over), a nautical theme in your own home. Completely transform your child’s room with this cabin bed complete with pirate tent from Noa & Nani a bargain at only £199.00 Other accessories can add the finishing touches to your pirate bedroom or simply add a pirate flavour to the room without embracing the whole theme! Although we live in a society in which blue can be a colour for both boys and girls, some girls (and boys) prefer pink. I am always disappointed when I search for girly pirate accessories to find very little. Over the years, I have found Cafe Press most invaluable when searching for anything a tad unique or different. As always, they have not failed to let me down when shopping for pink pirate items! Like this skull and cross bones pillow case at only £16.00. But what about incorporating pirate decor into adult or family spaces? I have shopped around for some must-have items! Also on Cafe Press I found this absolutely stunning pirate clock at only £33.50. Ok, so you might not be a pirate fanatic like myself, but would still like to bring the nautical, seaside ship ahoy essence to your home. Touches such as this ships wheel wall decor from Wayfair.co.uk will bring a nautical feel to any room – from £21.99. As would this nautical anchor wall tapestry from Rose gal – £11.07 . Creating a nautical atmosphere in the bedroom is incredibly easy – all you need is a few key pieces! Available at Amazon.co.uk is this awesome nautical bedding set – £21.77 (King size). 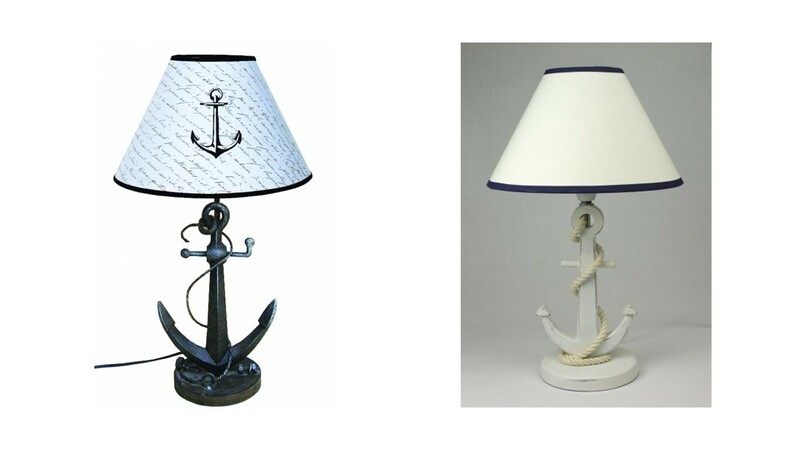 Lighting is so essential to a room – you can add a pirate feel to the room rather subtlety with these beautiful lamps. There are many diverse ways you can incorporate the pirate theme into your home, or, for something a little less dramatic, a nautical theme. If I had my own way, my entire home would look like the set from the Pirates of the Caribbean, I still have some convincing to do yet! I love the pirate and nautical themes but haven’t thought to use them outside of bathroom decor. 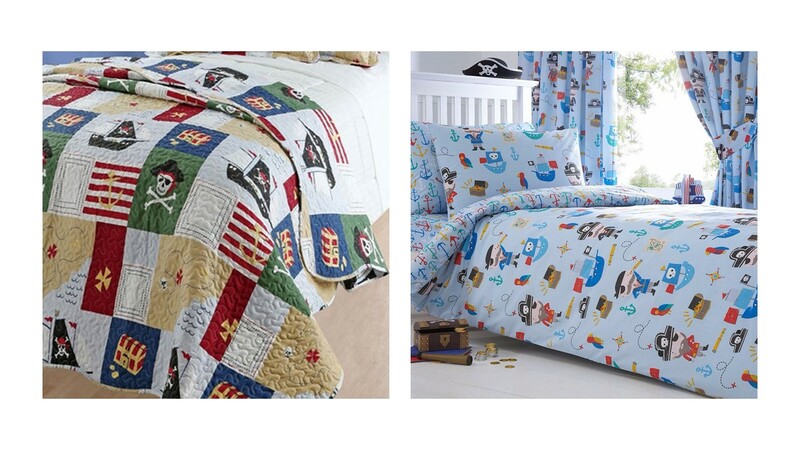 The Captain Jack print is perfect and the nautical bed spread is simply stunning.